Anytime is a Good Time for riding your Bicycle ! 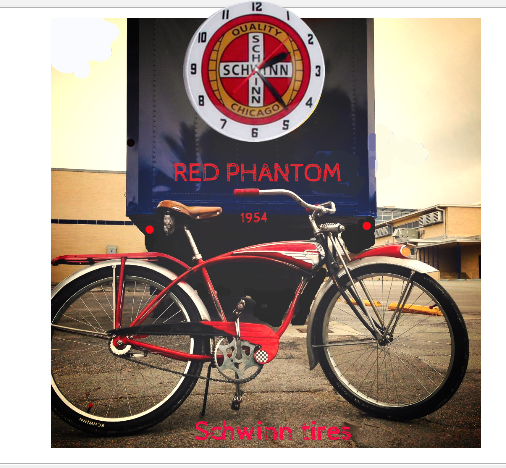 This is my 1954 Red Phantom. been restored with new leather. I have installed Schwinn Blackwall tires. I changed to cover that area. tail light. I have it some where...just got to look for it. But the weather is so nice..I think...I'll go for a nice ride !